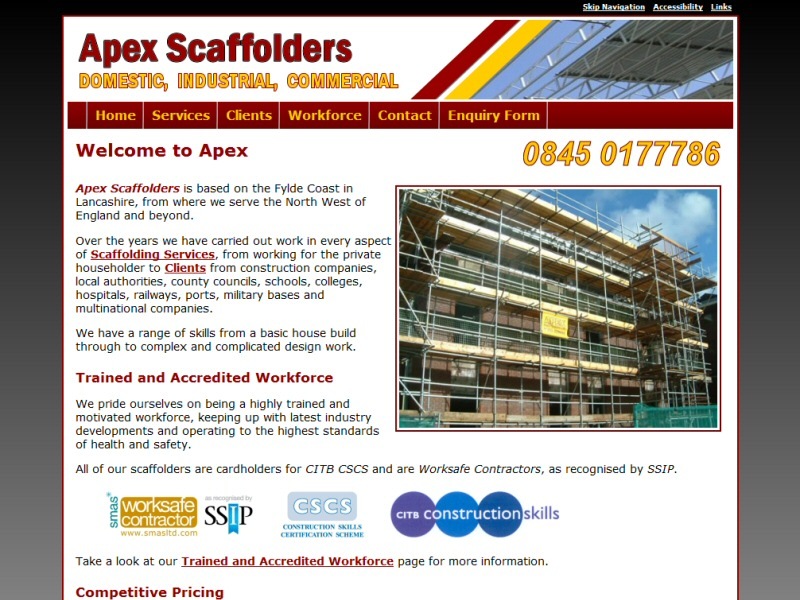 Content rich website created for a scaffolding business in Thornton CleveleysThere a number of products out there that offer the dream of easily creating your own professional website and thus theoretically negating the need for web development services like those provided by EasierThan Website Design. Sounds great doesn't it? A cheap, quick and easy option with the promise of endless new customers. 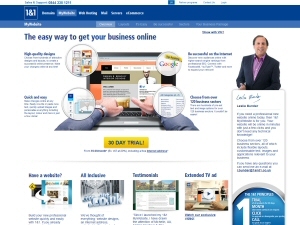 Before signing up to a 'Build Your Own Website' solution though, we would advise you to consider the following. For many business owners, time is very important and sitting down to write interesting content about your business activities can feel a bit like going back to school, meaning that it gets shelved night after night. We can make life easier by interviewing you and putting together text on your behalf, sorting through your images to find the best ones and advising from a lay person's perspective on what works and what doesn't. We'll also ensure correct spelling and grammar. All you'll have to do is review it! Most solutions advertise 100s of ready made templates to choose from with no design or coding skills required. Except of course when you find yourself falling at the first hurdle as you upload your logo and it doesn't fit the space available. And then how do you get another menu option? Or get rid of the Facebook logo if you don't have a Facebook page? Or set the background colour to match your house style? Or centre an image and resize it to fill the screen? Support or lack of it from foreign call centre staff for whom English is a second languageWe wouldn't expect you to design your own website any more than you'd expect us to fit a kitchen or install a driveway. Let us take care of the technical stuff and leave you free to concentrate on your business. After spending an age trying to figure out how to do something, you'll eventually end up contacting their support team and then often wish you hadn't. Nine times out of ten, you'll find you're conversing with someone in a foreign country for whom English isn't a first language and who doesn't grasp at all what you're attempting to achieve. We don't contract our work or support out to call centres halfway around the world. We're a Lancashire based business with a Blackpool landline and an address that you could easily drive to in under an hour. Many people don't realise that creating a website is only half the battle. 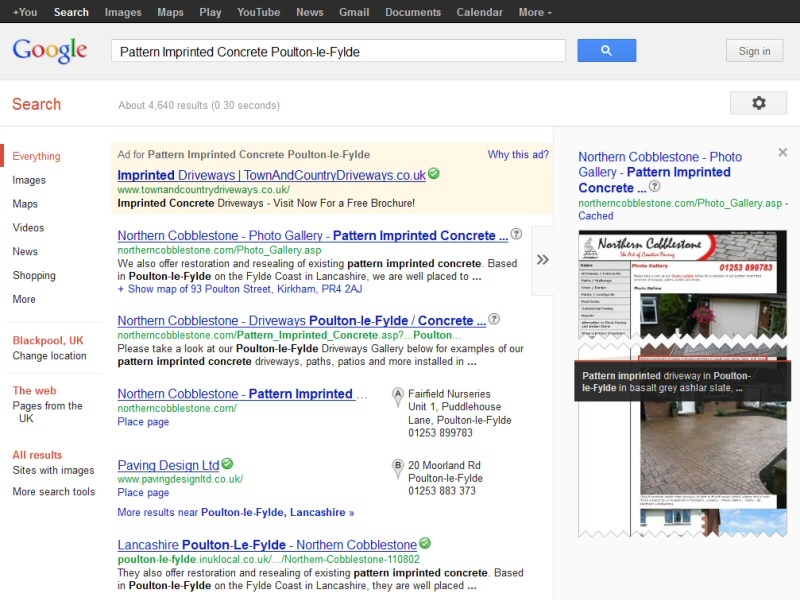 In order to bring in customers, it needs to appear in Google and other search engine results. Our Website Design templates are created with Google in mind and as above we can assist in creating appropriate keyword rich content. Where competition in your field is high, other Search Engine Optimisation techniques will also be required and these are unlikely to be included in your 'Build Your Own Website' product. Additionally, these products sell themselves on your ability to quickly edit your website, but given you're paying for this facility, is that something you really need? Do you need to be able to change content regularly? For the majority of businesses, content doesn't need to be constantly refreshed once it has been written. The obvious exception is an occasional phone number change or similar, but as we always answer emails and respond to phone calls promptly, that needn't be an issue. In the event that you do need to update content regularly, we can do it for you as a managed service, which helps to maintain a consistent standard to your website. Alternatively, we can provide a Content Management System website which benefits from a Google friendly front-end and a bespoke admin back-end that hides away technical settings from view. Although a website from us will have a higher initial cost, the monthly charges for a 'Build Your Own Website' solution stealthily add up. If you plan to have a site for any length of time, one of our websites will have a lower overall cost in the long run. And once you start to factor in the cost of your own time, that break even occurs much earlier! Before you sign up, why not consider the alternative? Give us a call for a comparative quote and you won't be disappointed. Or if you have already signed up to a 'Build Your Own Website' solution and are determined to give it a go, we can always provide the necessary Third Party Website Support to make it work for you.